Waffles is one famous kitty cat, boasting 2.4M Facebook fans and almost 340,000 Instagram followers! 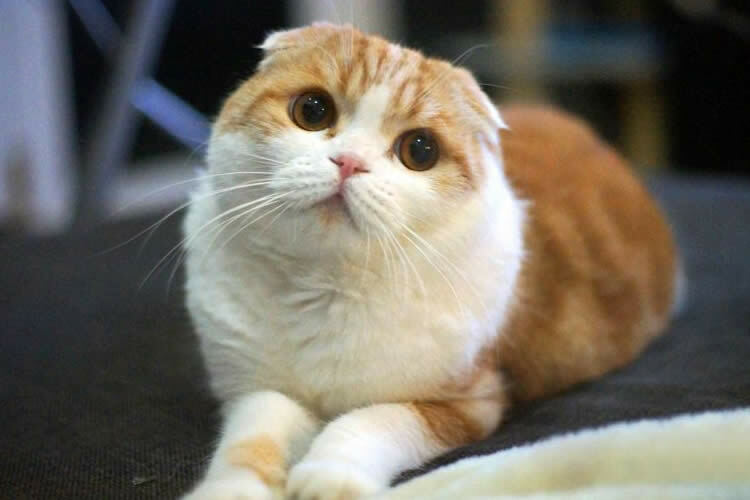 A Scottish Fold, Waffles didn’t find his furever home until well past kittenhood as he was perceived as the “ugly” runt of the litter – hard to believe when you look at this gorgeous face! I had the honor of sitting down with Waffles to discuss life, sleeping, humans, and waffles. Sully: Thank you so much for taking the time to chat with me today. I promise I’ll try not to pounce on you while we talk. So, let’s dive right in – I think I look like George Clooney! What human celebrity do you look like? 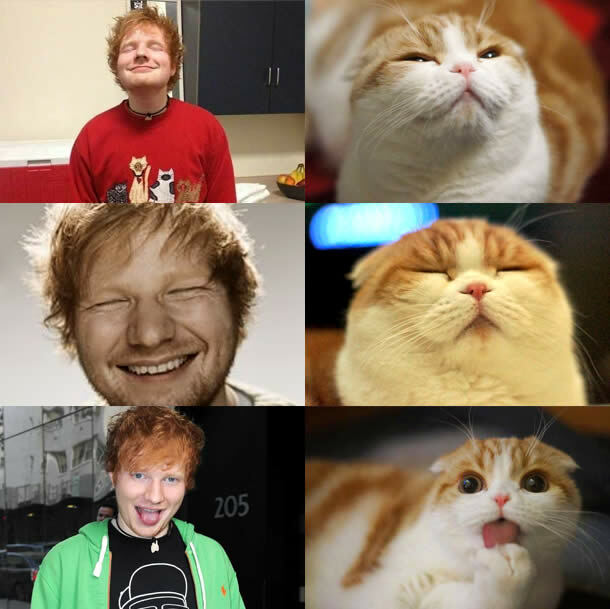 Waffles: I look like Ed Sheeran! Sully: BOL! The likeness is uncanny! Ok, let’s switch gears. One of my all-time favorite things is napping and I actually like to sleep on top of the couch just like kitties. Where’s your favorite place to sleep? Waffles: I love to sleep where the sun shines! I love a sunbath. Sully: What’s your favorite thing to meow at? Waffles: I love to meow at my humans! When I want them to play with me, or sometimes I’m just happy to see them! Sully: What’s your favorite TV show or movie? Waffles: I love nature shows like National Geographic, BBC! Sully: If you could do any human job, what would it be and why? Waffles: I would be a baker and make waffles all day! Sully: What’s going to be your summer jam for 2016? Sully: When your humans are at work and you decide to surf the internets, what sites do you love to visit? Waffles: I love to visit Instagram and Twitter! But there are no birds on Twitter so it’s really confusing. Sully: Have you ever actually eaten a waffle? If so, did you love it? Waffles: I ate a chicken waffle! Not a chicken and waffle, but chicken-flavored waffle! I love anything chicken flavored! Wrooooof! I was rescued from Noah’s Bark Rescue. I’m originally from South Central L.A. where I was found in a box in a parking lot with my littermates. Straight outta Compton! Nowadays, I spend my time napping and working on Sullyburger.com and get to interview awesome anipals like Waffles!